This photo of a dried-up Puffer fish wearing glasses is just plain weird. Disturbing even. 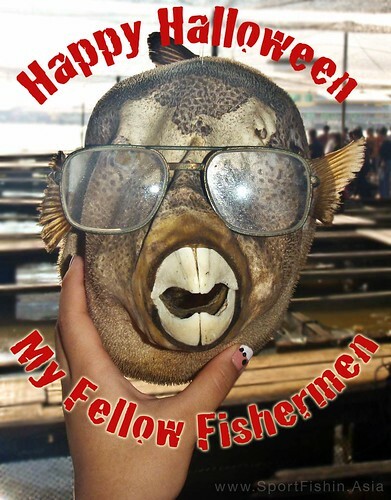 Naturally it has to be the candidate for my Halloween postcard to all you anglers celebrating. Photo taken at fishing village in Pulau Kukup, Johor, Malaysia.